A few years ago I made Crack Pie. 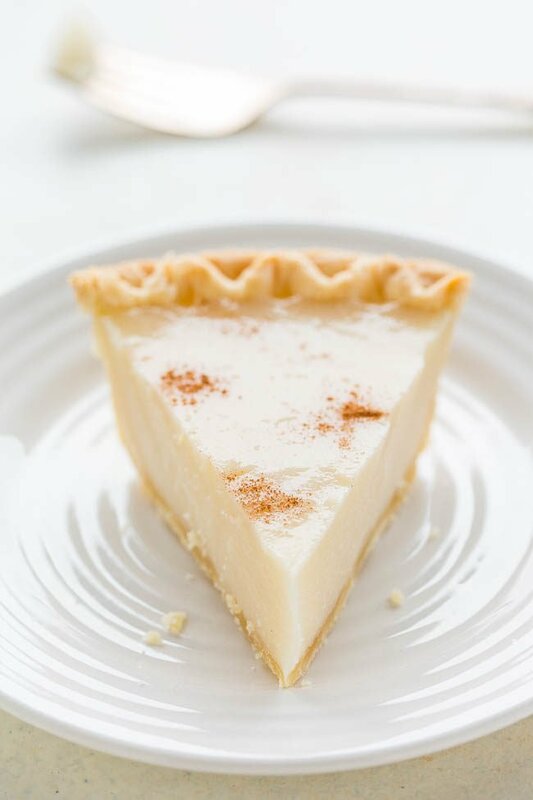 I didn’t name it, it’s the famous Momofuku Milkbar pie recipe and it’s one of the most popular recipes on my site. It’s an absolutely amazing pie but it’s very cumbersome, time-consuming, and it’s not my style to spend forever and a day on one dessert. It’s incredibly easy and you don’t need a mixer. I used a storebought pie crust because pie crust-making is not my forte, but if it’s yours, make your favorite scratch crust. After baking the crust for 10 minutes, whisk together the filling on the stove, pour it into the crust, bake for 10 more minutes, and chill the pie. Plan ahead because the pie needs to chill overnight or at least many hours. Thanks to cornstarch in the filling, you won’t run the risk of the pie not setting up. You’ll have extra filling which is great eaten as pudding or if you’re a pie pro, you could make another smaller pie or tart (probably about 6 inches). My daughter happily ate the extra filling as pudding and took the extra off my hands. 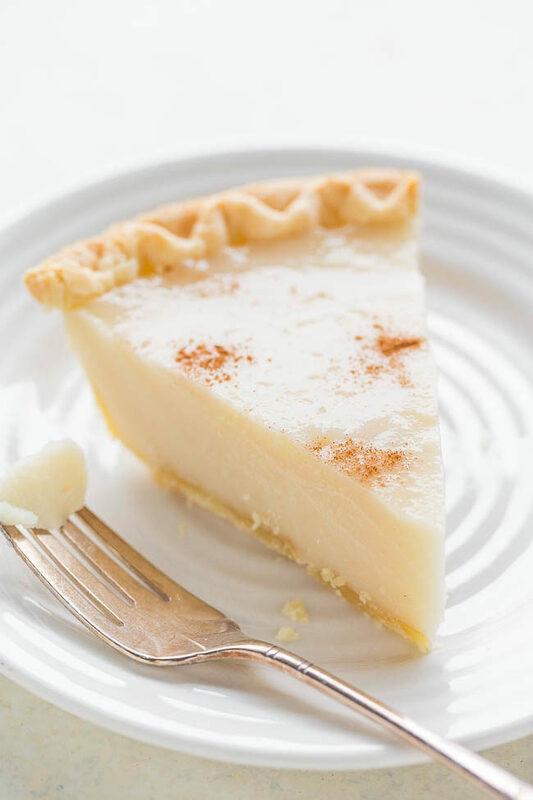 The pie is sweet, creamy, the texture is custard-like, and it reminds me of crème brûlée. It’s incredibly easy and you don’t need a mixer. I used a storebought pie crust or make your favorite scratch crust. After baking the crust for 10 minutes, whisk together the filling on the stove, pour it into the crust, bake for 10 more minutes, and chill the pie overnight or many hours. You’ll have extra filling which is great eaten as pudding or you can make another smaller pie or tart. Preheat oven to 400F. Prick pie crust in many places with a fork and bake for about 10 minutes directly on the oven rack, or until lightly golden browned around the edges; set aside to cool. While crust bakes, prepare the filling. To a large heavy-bottomed saucepan, add the milk, sugar, cornstarch, vanilla, salt, and whisk to combine. Cook over medium-low heat for about 10 minutes, or until bubbling and thickened. Whisk nearly continuously throughout the cooking process, and near the end when the filling is getting thicker, whisk continuously to avoid the filling from browning at the bottom of the saucepan. Add the butter, whisk to combine until melted, and allow filling to boil for another 1 to 2 minutes. Add filling to pie crust, noting you will have about extra (I had about 1 1/2 cups extra). It’s great warm, chilled as pudding, or you can experiment by making another smaller pie or tart. Place pie tin on a baking sheet and bake for about 10 minutes, or until bubbling gently near the edge. Carefully place pie on a wire rack to cool for about 1 hour. Cover with foil and refrigerate for about 8 hours, or until pie is chilled and set. Evenly sprinkle with cinnamon and serve. Pie will keep airtight in the fridge for up to 1 week. 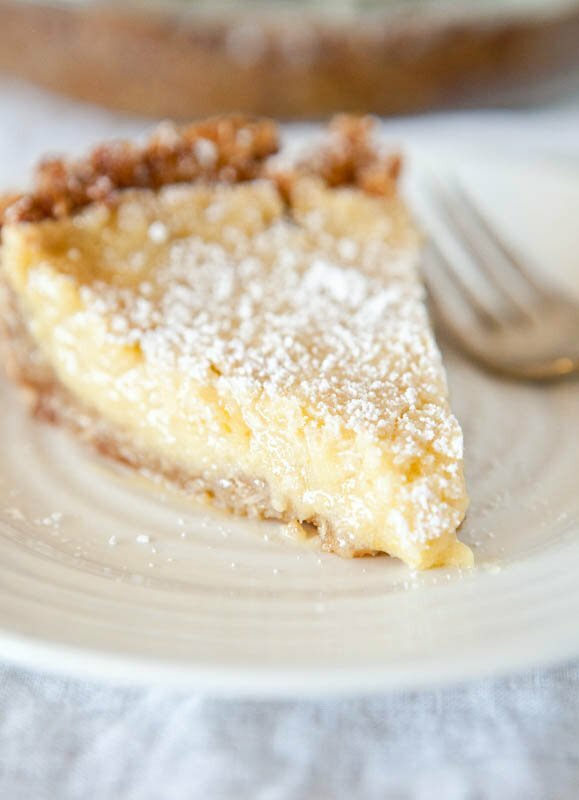 Easy Banana Cream Pudding Pie with Cream Cheese Crust – The no-bake filling tastes like a fluffy slice of heaven and the crust is no-roll! An easy, goofproof pie that anyone can make in minutes! 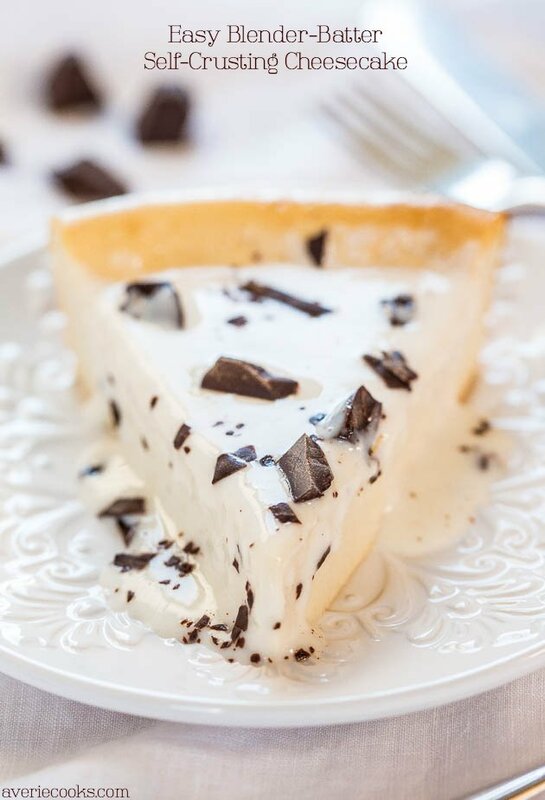 Easy Blender-Batter Self-Crusting Cheesecake – No crust to make and whiz the batter together in the blender! Easy, foolproof, and so good! 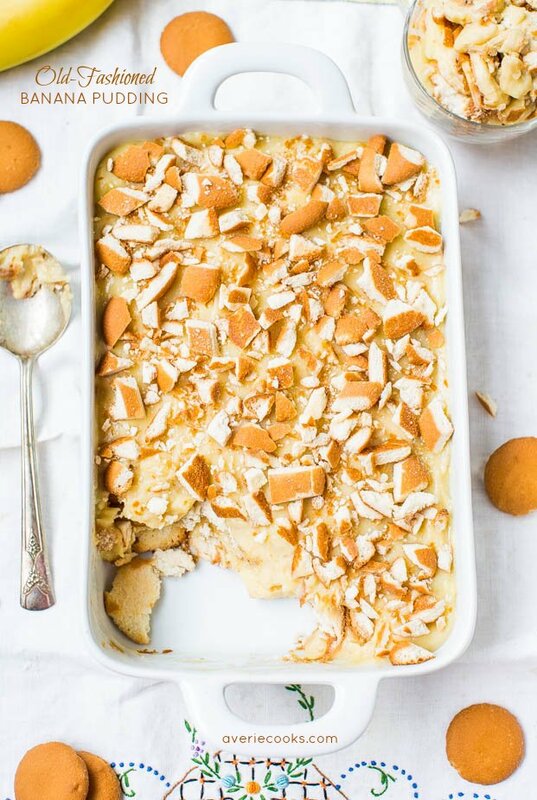 Old-Fashioned Banana Pudding – Sweet and creamy pudding with oodles of Nilla Wafers! A classic comfort-food dessert that’s so good! 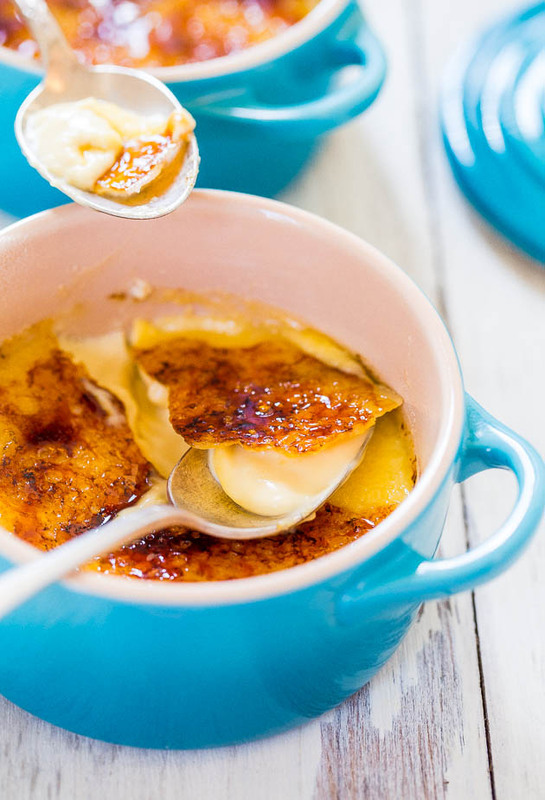 The Best and The Easiest Classic Crème Brûlée – Finally an easy recipe for smooth, rich, creamy, restaurant-quality crème brûlée! I’ve never had this kind of pie before. It looks AMAZING. I want to try it ASAP! It reminded me of Crack Pie meets creme brulee minus the work which is what I loved about it! OMG Averie, this looks FANTASTIC. I’ve never heard of a milk tart but it sure sounds great! Anything with condensed milk usually is! 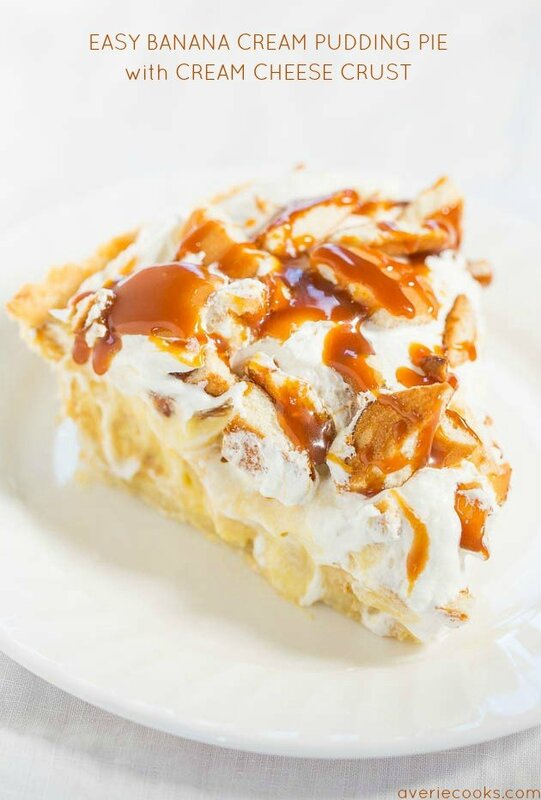 There is something irresistible about the name of this pie….sugar cream just sounds delicious! 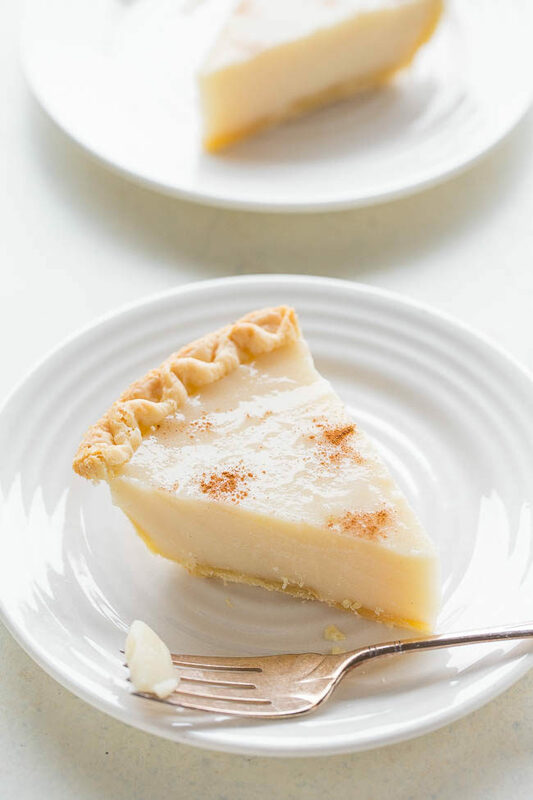 I like all kinds of pie but creamy, custard or pudding as a filling is probably my favorite. This pie was all things good. Sugar and cream are never bad! This pie is so pretty (and your photos are gorgeous). I love how easy it is to whip together and even better, the ingredients are something that everyone has on hand! Thanks for the compliments my friend :) This was one of the last recipes I shot in my old house. Still trying to figure out new house lighting. You KNOW I’m all over this. It looks amazing. Your photos make me gasp every time – you do white on white SO well. I remember when you posted the crack pie and I definitely was shocked that you spent so much time on it! It was impressive (and delicious, I’m sure) but WOW. That’s dedication. I have never even heard of sugar pie…. 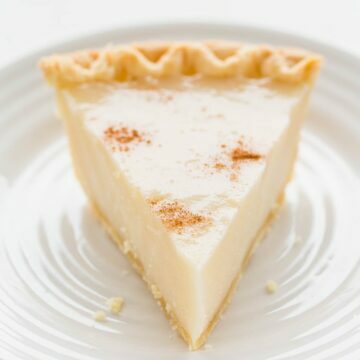 Re: Sugar Cream Pie: Could blueberries or chopped strawberries be added before pouring the filling into the crust? Not sure if the juice from the berries would effect the pie setting up or not. Berries have a tendency to water things down, release juices, etc. and are also acidic and can change the baking chemistry going on. I would top with berries if you feel the pie needs it. I know it wouldn’t taste nearly as good, but do you think soy milk would work as a non-dairy substitute? Hmmmm…not sure. There may be something with either the dairy milk proteins and/or the amount of fat in the dairy milk that will ensure the pie to set up. It’s one of those baking gambles I am unsure about. This is my all-time favorite pie! I’m from the Midwest (NW Indiana). While not common here, if I head an hour or so south it is often served. I’ve even had this pie at an auction that is regularly vended by the local Amish, near Lafayette, Indiana. I’ve made a variety of scp recipes, and am excited to try yours! Thanks Jan for LMK you’ve made other types of SCPies and that it’s a fave of yours! LMK how my recipe goes for you! Changed your recipe slightly, I substituted eggnog for the milk and reduced the sugar to a quarter cup and the vanilla by half. I had a slice at the refrigeration halfway mark last night and am eating another slice now for breakfast! Yummy! The eggnog twist sounds great and you can’t beat pie for breakfast!